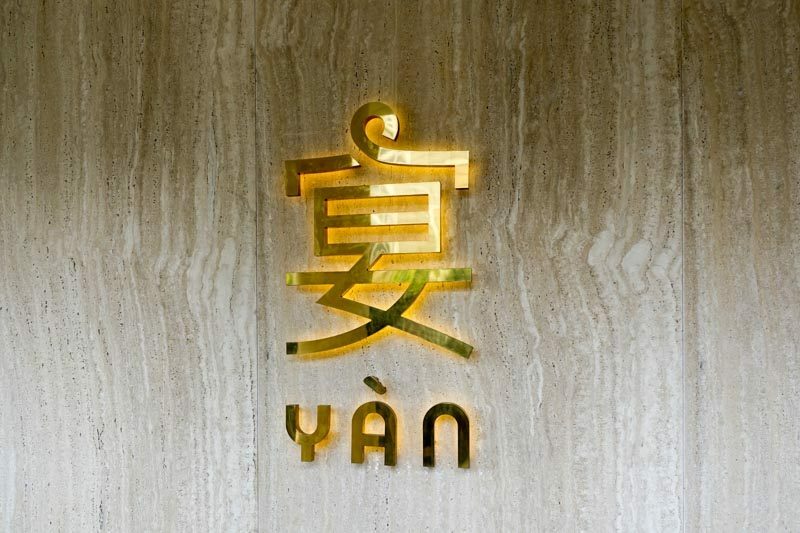 YAN is a restaurant specializing in Catonese cuisine, managed by the Park Hotel Group. 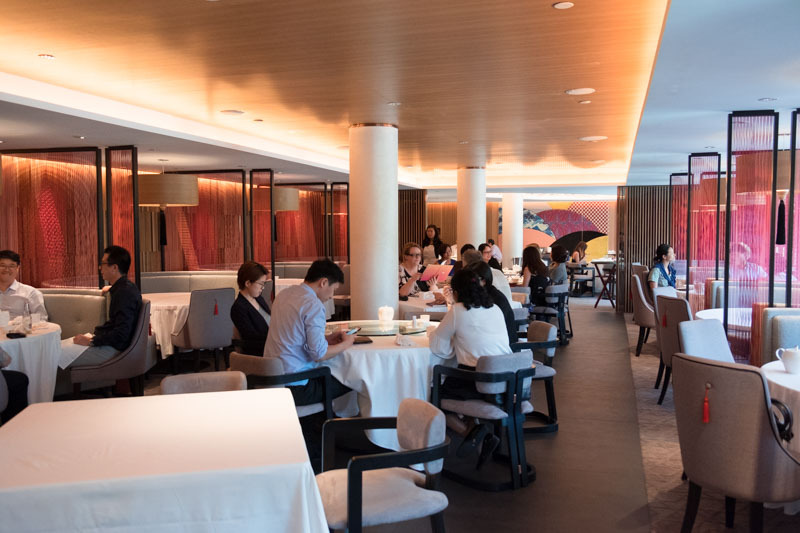 YAN has a spacious interior, featuring contemporary Chinese decor with touches of modern elegance. 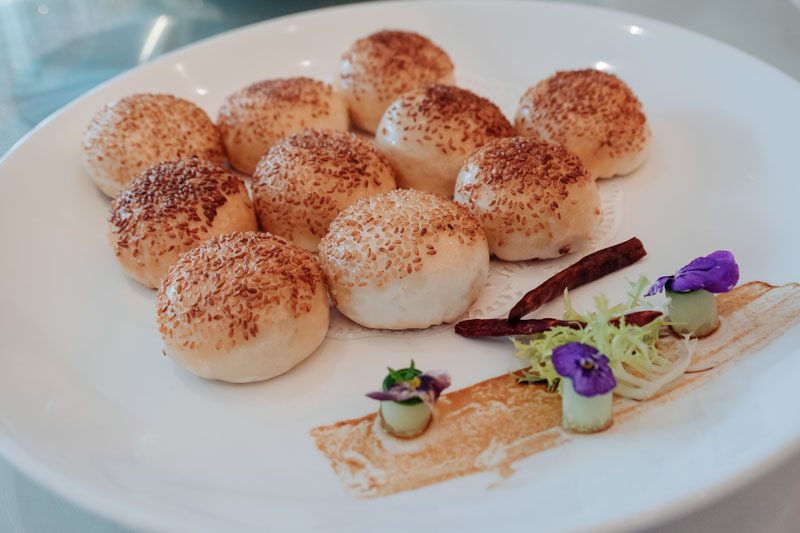 Situated on the fifth floor of the recently opened National Gallery, restaurant goers can venture into the exhibits on lower floors to appreciate some art after a taste of Yan’s signature Peking Duck or delicate dim sums. This visit, we tried YAN’s newest offering — their Omakase menu, a Chinese adaptation of the Japanese ‘up-to-the-chef’ concept. The Chinese character ‘宴’ means banquet, so feast we did. The first dish on our Omakase menu was the Marinated Goose Webs and Beancurd. I appreciate how the dish was separated so that those who aren’t keen on the goose webs can just savour the tofu. 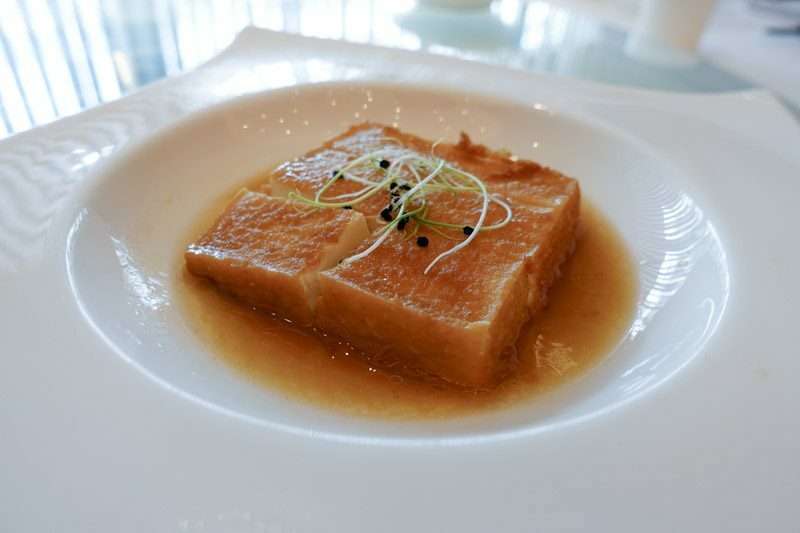 The tofu was executed nicely with a golden-brown skin and silky interior, but I believe the sauce could have been better seasoned to give more dimension to the bland-by-nature tofu. My dining companion hilariously compared the tofu to a glimmering treasure chest that one eagerly opens… only to find a meagre ten dollar note. In short, a tad underwhelming. I didn’t find myself a huge fan of the goose webs either, but it could be that I’m just not naturally inclined to eating such parts. That being said, the goose webs were well-marinated and I’m sure their soft, chewy and gelatinous texture will sit well with those who enjoy eating chicken feet. This claypot of frog legs was quite enormous, more than enough for the ten people around our table to share. 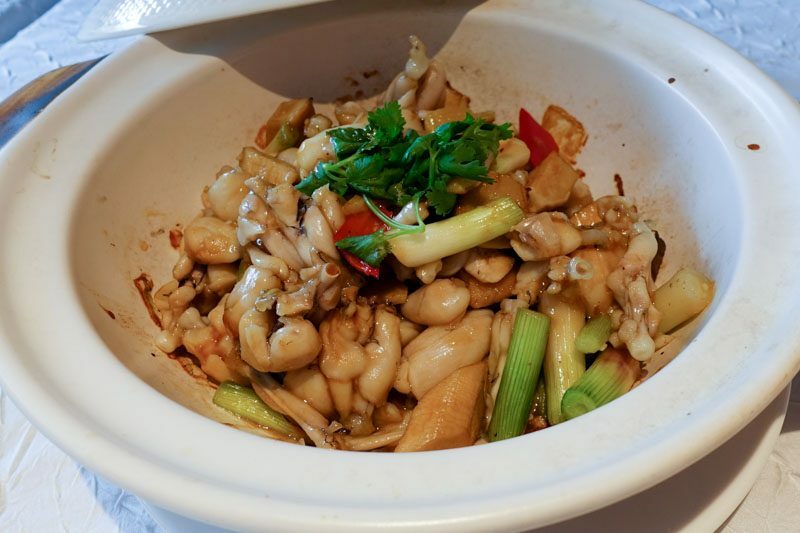 The frog legs were coated with a light, savoury sauce and served alongside chunks of garlic, chilli, fleshy stalks of spring onion and abalone mushrooms. YAN also provides a clam sauce on the side to have with your frog legs. 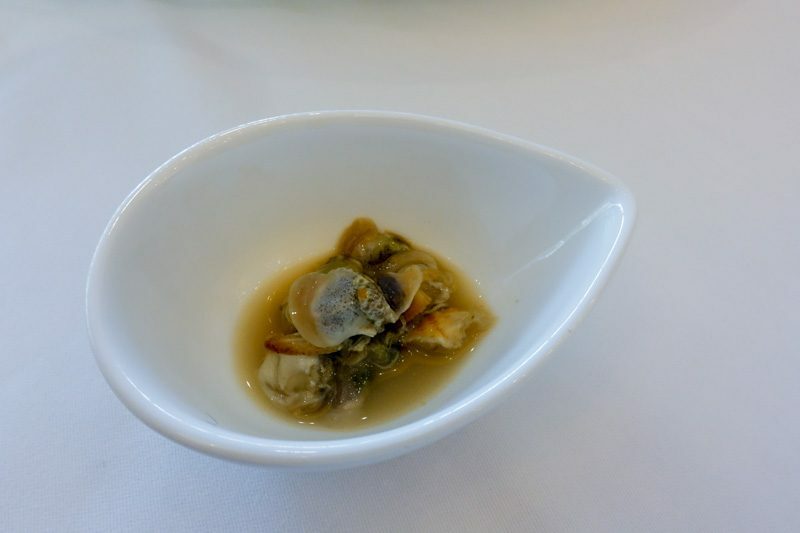 Where others found the clam sauce too overpowering in odour, I personally liked its briny flavour and felt the pairing gave the frog legs a greater umami profile. 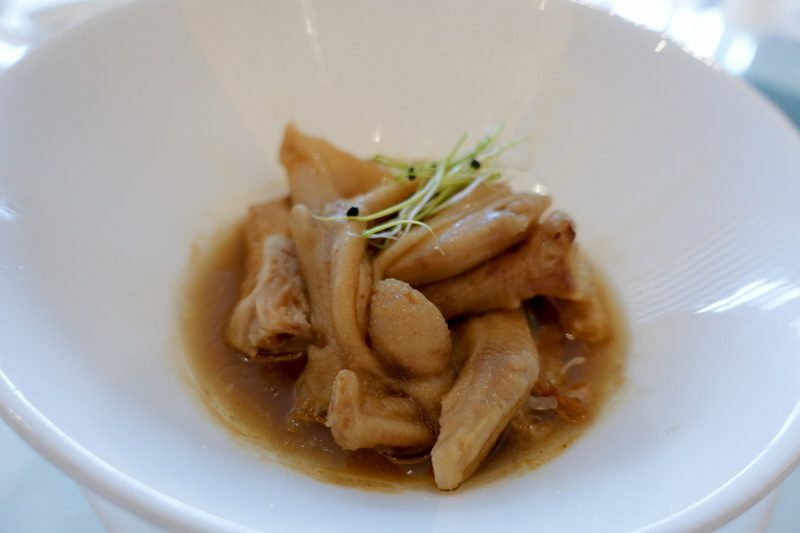 Overall, I enjoyed the dish’s clean flavours that preserved the natural springy sweetness of the frog legs rather than overwhelming them with heavy sauces. For our particular Omakase menu, YAN’s seasonal ingredient of the day was their King of Grouper, weighing in at a massive 30 kilograms. Despite the size of the fish, the flesh was still tender. 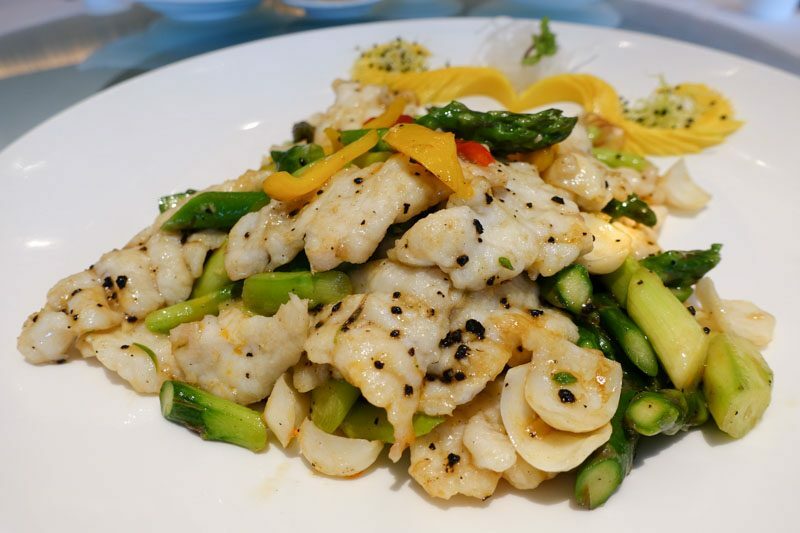 Tossed in a delicious sauce along with coarse black pepper, capsicums, asparagus and lily bulbs, this dish had good contrast of textures — sweet slices of mango, crunchy asparagus, firm lily bulbs and meaty grouper. YAN’s take on a Singapore’s hot favourite, this was probably my most anticipated dish on the menu. The buns arrived piping hot and beautifully plated, I gobbled up mine and had to rely on photographing my friend’s buns instead (not like that, you nasty!). 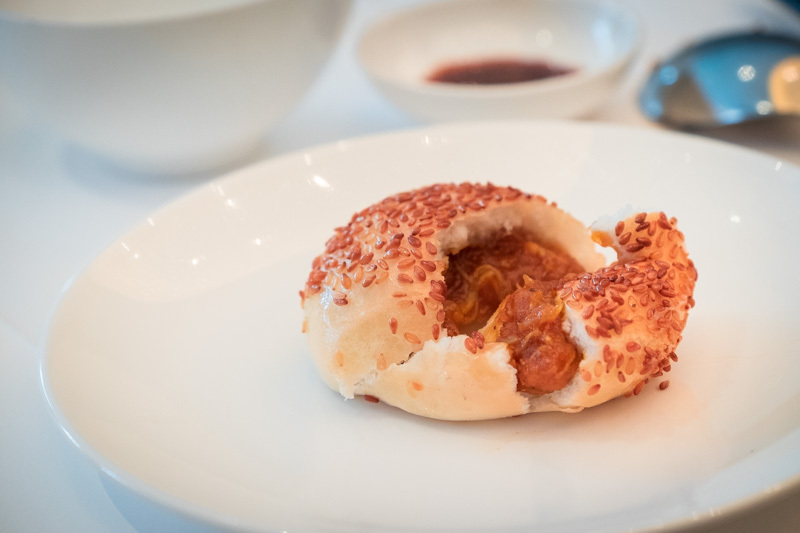 The bun had a crisp sesame shell, while its centre was pillowy soft with a dollop of sweet chilli crab filling. I would’ve reached for another had not the other buns been swiped so quickly. A delicious eat, though I felt the combination of Chilli Crab and Mantou was rather safe and perhaps too-predictable for an Omakase menu, where I would expect more daring or novel chef creations. 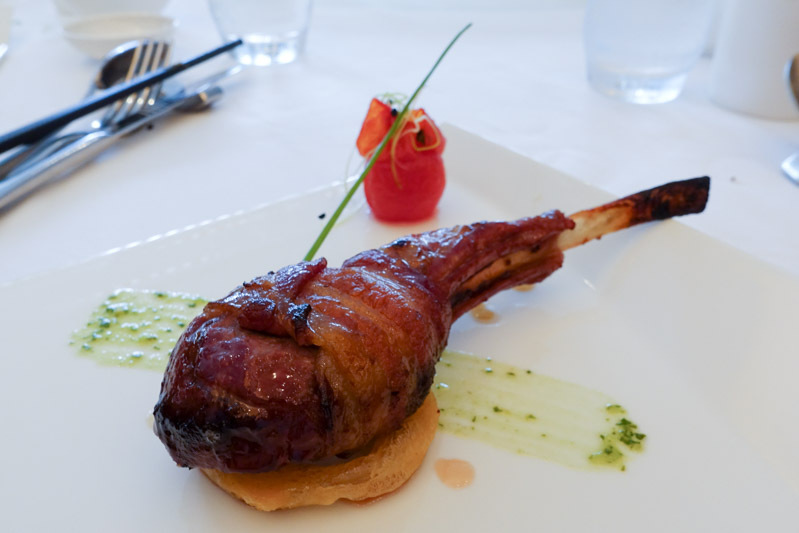 I never expected an American-style bacon-wrapped lamb rack nor a battered onion ring from YAN, a distinctly Cantonese restaurant. Rather ironically, I found this to be the best dish on the Omakase menu. The lamb meat was succulent and had little to no gamey flavour, while its glaze was amazingly sweet, dark and sticky. The bacon, chewy not crispy, provided a rich saltiness that enhanced the flavour of the lamb. The lonely onion ring upon which the lamb rested was possibly the best of its kind I’d ever eaten. It had an airy batter that was light and crunchy, while delivering a fresh onion sweetness lacking in freezer-pack onion rings. This soup was warm and comforting, as most clear soups are. 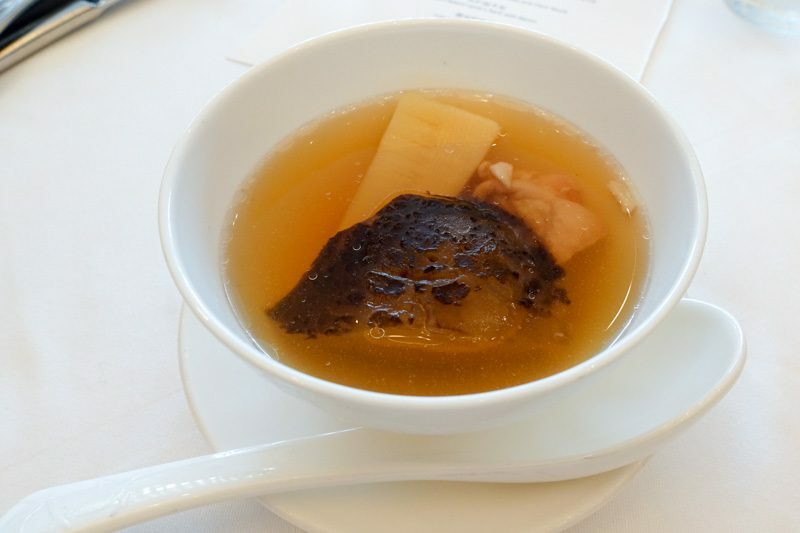 YAN assures its diners of quality ingredients, as the soup is boiled with seasonal bamboo shoots from Guang Xi, one of the few types of bamboo that do not give out an overpowering foul smell. While easy to drink and nourishing on the body, the soup did not stand out to me in terms of its flavour or content. 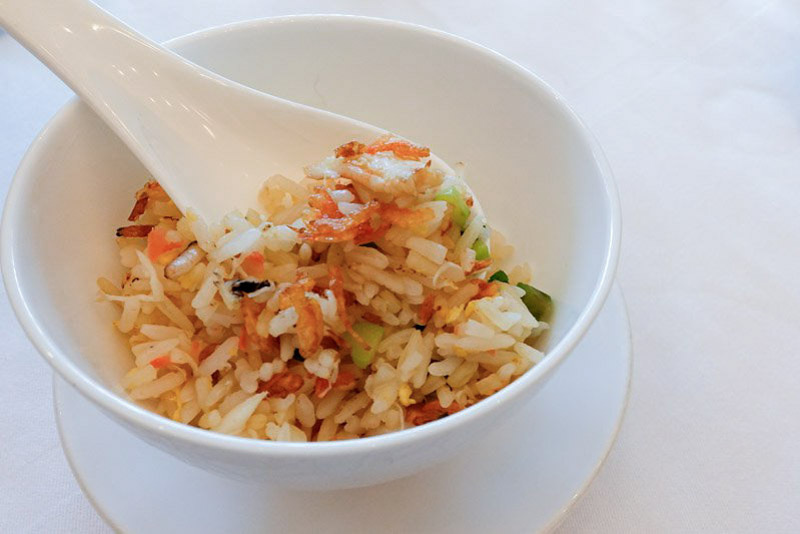 I wasn’t hoping for much from the Fried Rice, simply because it seems like such a typical dish that it’d be hard to stray far from a generic taste. So, in that aspect, YAN’s Fried Rice with Sakura Ebi superseded my expectations. The rice itself was well-seasoned and full of ingredients: egg, long beans, spring onion, large pieces of fresh prawn. The star of the dish was indeed the pink flecks of Sakura Ebi, which gave the rice a delightful crunch and a fragrant aroma. 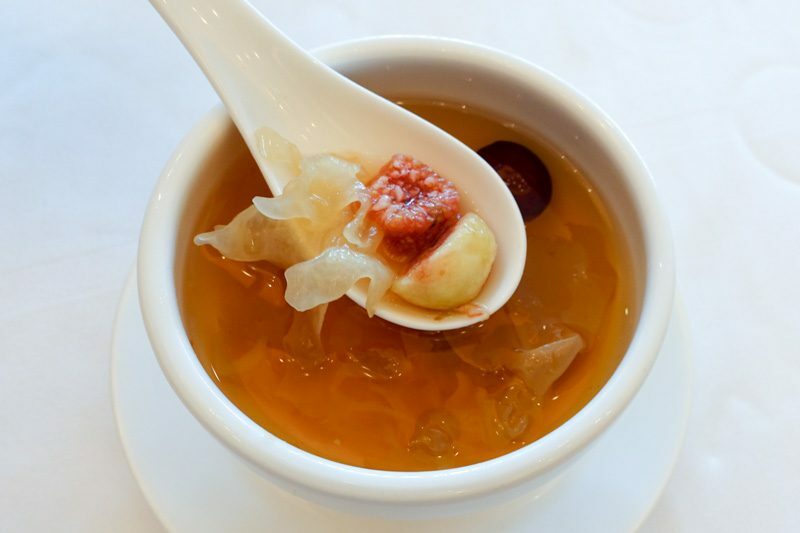 I really enjoyed the fresh fig that came in the clear soup, a change from the typical dried-then-rehydrated figs you get in most other Chinese desserts. The bouncy fungus was rather fun to eat, and the chilled soup refreshed my palate after the previous savoury courses. As someone who normally skips Chinese sweet soups, I finished all of mine — a testament to how good it was. In all, our meal at YAN was a pleasant one. Their Omakase menu served up decent dishes, with some hits and misses, but I struggle to justify the $120++ price tag on the 8-course set menu that we tried. I’d recommend trying YAN out if you’re in the vicinity, but ordering from their a la carte menu might be a better alternative and greater value for money.